Ouagadougou (AFP) - Burkina Faso's interim cabinet on Friday dissolved the presidential guards unit which staged last week's abortive coup, as it held its first meeting following the takeover. "The third decree relates to the dissolution of the Presidential Security Regiment (RSP). The adoption of this decree dissolves the RSP," according to minutes from the meeting seen by AFP. Prime Minister Yacouba Isaac Zida had earlier announced that the coup leaders would face justice. "Those who will have to answer to justice will do so," he said as his team gathered at his city centre office rather than its customary presidential palace venue where the putschists burst in on them last week. Asked about the future of the RSP as he promised a commission of enquiry Zida told reporters: "Disarmament and dissolution -- why not?" Asked when that might happen he responded: "Immediately." Friday's meeting went ahead amid tight security with the ministers joined by armed forces chief Pingrenoma Zagre, who had opposed the RSP renegades who staged the coup. 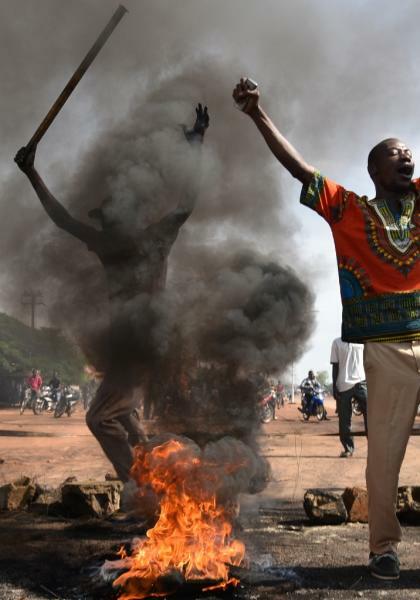 Under the terms of the deal ending the uprising, the RSP officers agreed to stand down from their positions in Ouagadougou and the army also agreed to pull out. But coup leaders were demanding guarantees for their safety before they disarm, a senior RSP member said. "The men are categorically opposed" to disarming without the guarantees, the source said, adding they had met an army delegation to discuss the issue of their and their families' future safety. On September 16, the RSP seized interim president Michel Kafando, Zida and two other government ministers, announcing a coup the following day. But the new military regime, led by General Gilbert Diendere, stepped down a week later following mediation brokered by the Economic Community of West African States (ECOWAS) and under pressure from the regular army. Former colonial power France condemned the attempted takeover. The coup and resulting unrest claimed the lives of at least 10 people while more than 100 were wounded. Diendere acknowledged midweek the coup was a "mistake" which did not enjoy popular backing. The country's prosecutor general, Laurent Poda, meanwhile told AFP he has already opened an enquiry into the failed takeover. "I have called on the criminal investigation department to open an investigation into offences linked to the acts which occurred on the territory since September 16," Poda told AFP by telephone. 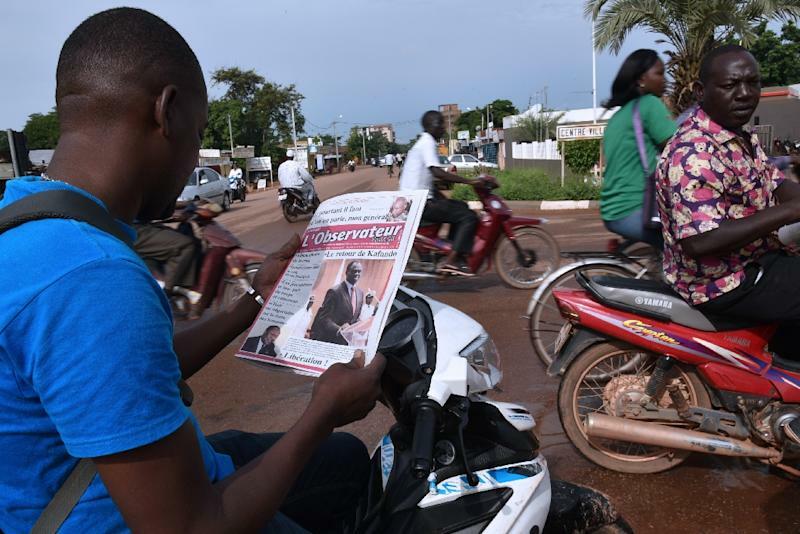 Burkina Faso is scheduled to hold general elections on October 11 although Zida indicated Wednesday it would have to be put back several weeks. 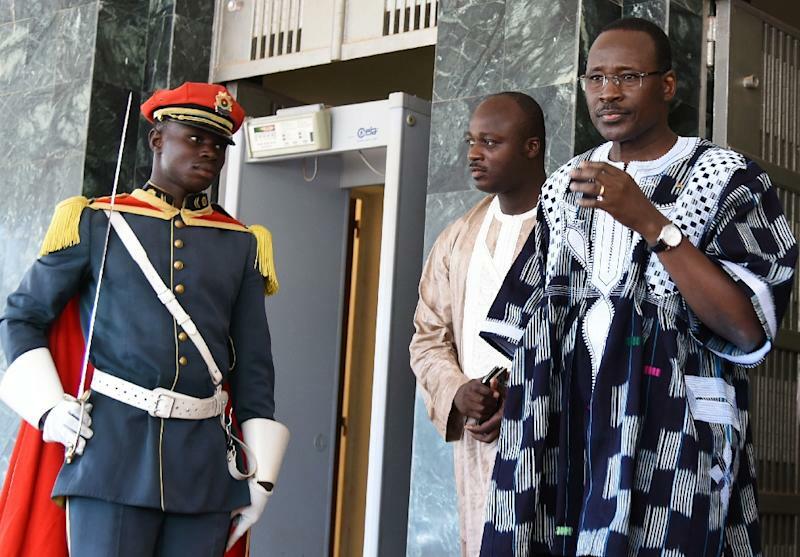 The country is in transition following 27 years of iron-fisted rule by Blaise Compaore, who was ousted as president last October and fled the country. Guy-Herve Kam, spokesman for civil group Balai Citoyen or "civic broom", told AFP he believed there were grounds for optimism. "I think there are reasons to be optimistic. No power can do anything against a determined people. I think the soldiers implicated in this coup and even the politicians have realised that (a coup) is something which can no longer come off in this country." But he warned that "the snake is wounded but he is not dead." The group also issued a statement urging there be no kind of retribution against coup supporters.